The Oblates of Annunciation Monastery will meet at the monastery on Sunday, December 2 from 10:00 a.m. to 3:00 p.m. for an Advent retreat. Sister Rosemary DeGracia (pictured) will lead the oblates in reflection on the beautiful and holy season of Advent. "The Scriptures and traditions of the Advent season provide ample material for reflection. Rooted in our monastic customs such as the "O Antiphons," we will begin the season of Advent exploring themes of preparing our hearts for the coming Messiah and the biblical themes of darkness and light," she explains. Oblates are women and men who associate themselves with a monastery, seek God and live according to the Rule of Benedict in their everyday lives as their lives permit. Anyone interested in the oblate program is welcome to attend this retreat. Oblates will break for Mass at 11:00 a.m., followed by lunch in the monastic dining room. The retreat will resume after lunch. 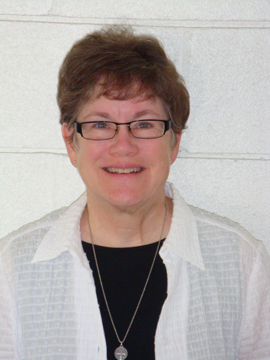 If you would like more information on the oblate program, please contact Sister Patricia at 701-255-1520.